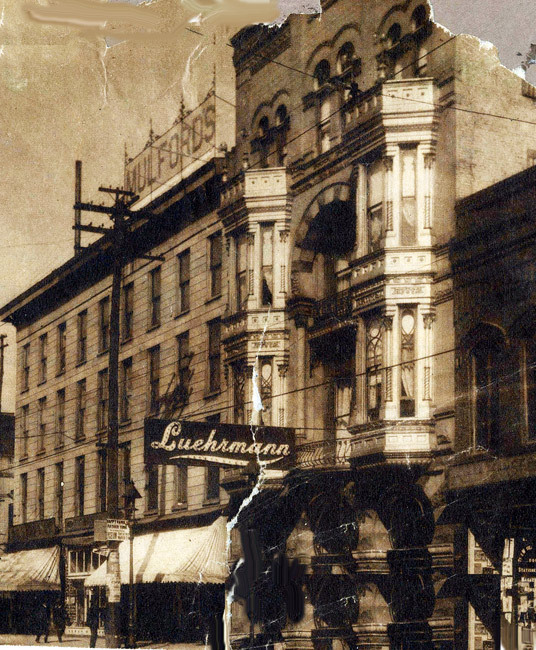 The Luehrmann Hotel building was a Memphis landmark on Main Street from 1888-1906. 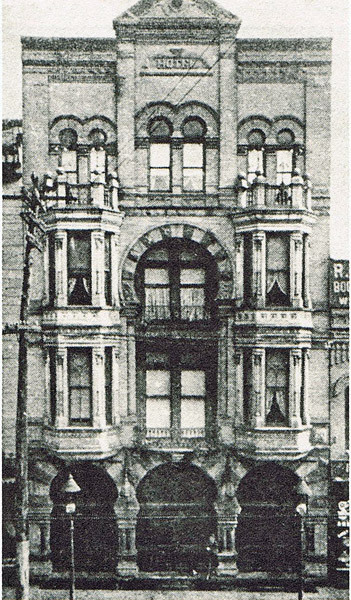 The hotel was the upper 3 floors, with 38 rooms - reserved for men only, although some women in fine clothes might appear at intervals. 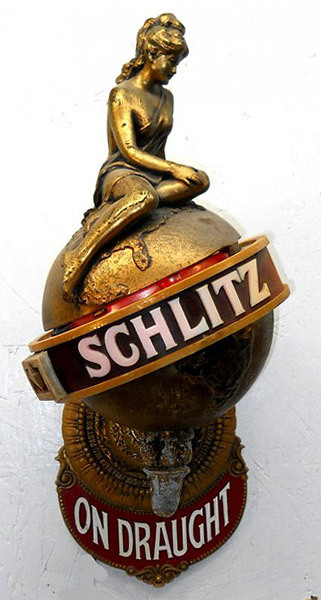 The fortune it took to build and equip this magnificent establishment came largely from beer, in particular Schlitz Beer. 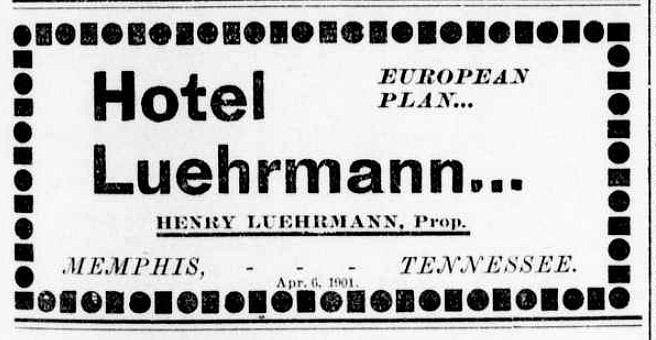 Proprietor Henry Luehrmann was the prominent brewer as well as the owner of this fine hotel-restaurant. 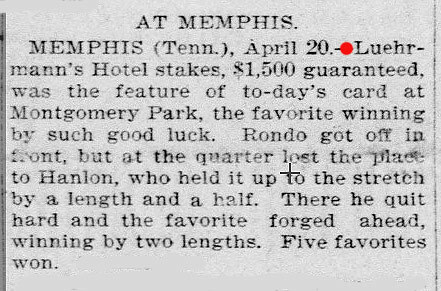 His aim was to please, and he was considered the most honest and trusted businessman in Memphis. 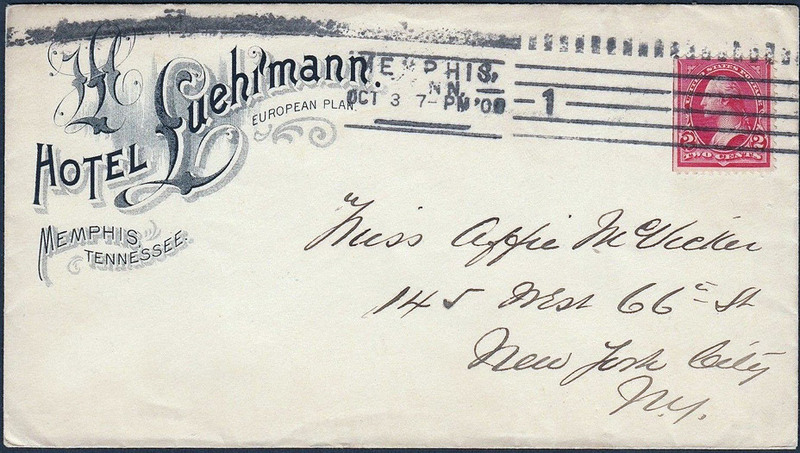 Henry A. Luehrmann was born 27 August 1841 in Melle, Germany, which was a suburb of the Hanover area. 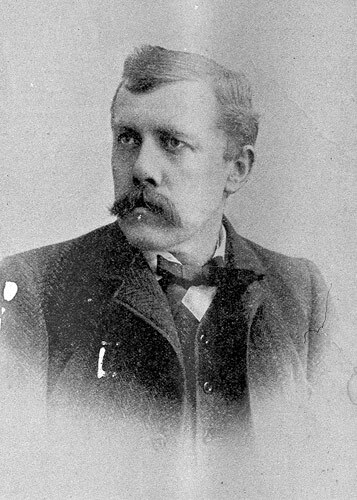 He came to the United States when he was 15 and settled in St. Louis where there was a large German population. 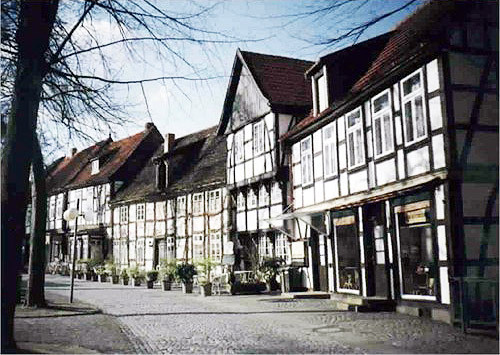 There he obtained a job as a clerk in a brewery, while going to school at night. 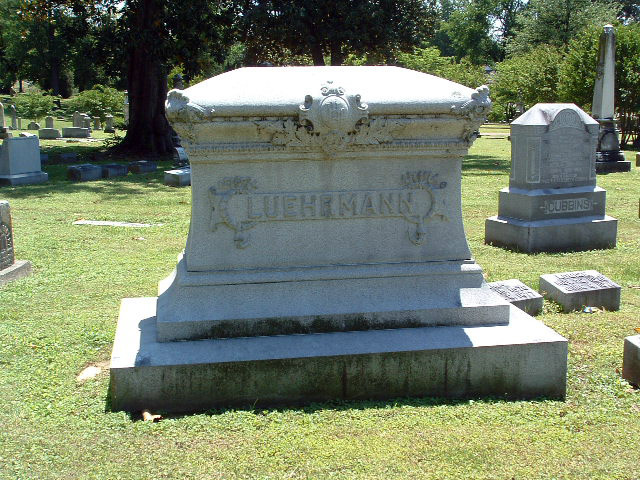 When the Civil War came, Luehrmann enlisted in the Union Army and after the war, settled in Memphis where he again became a clerk in a brewery, but he soon owned the brewery. 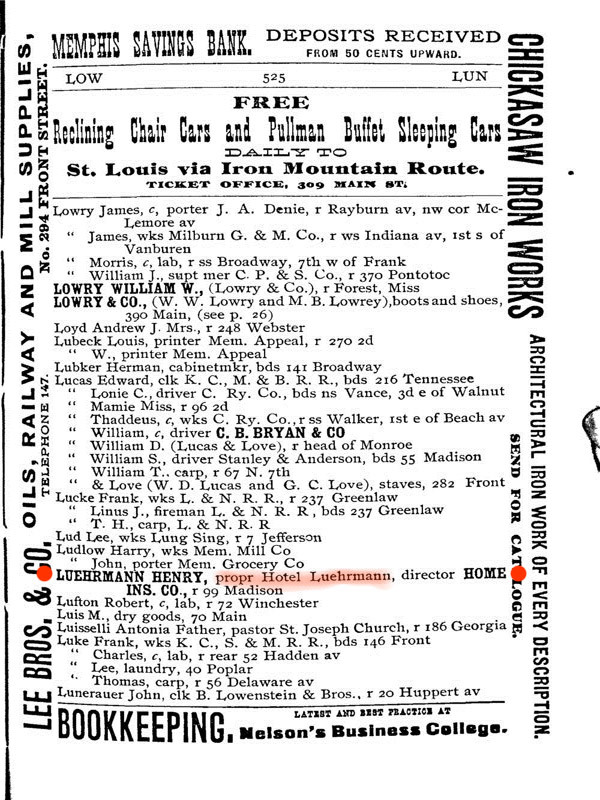 Leuhrmann had saved his money in St. Louis and shortly opened his own Saloon in Memphis. 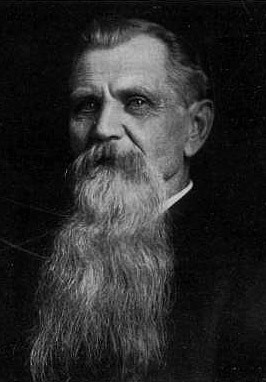 His Saloon did so well that he added a restaurant named "The Terrace Garden" and then he opened his own brewery. 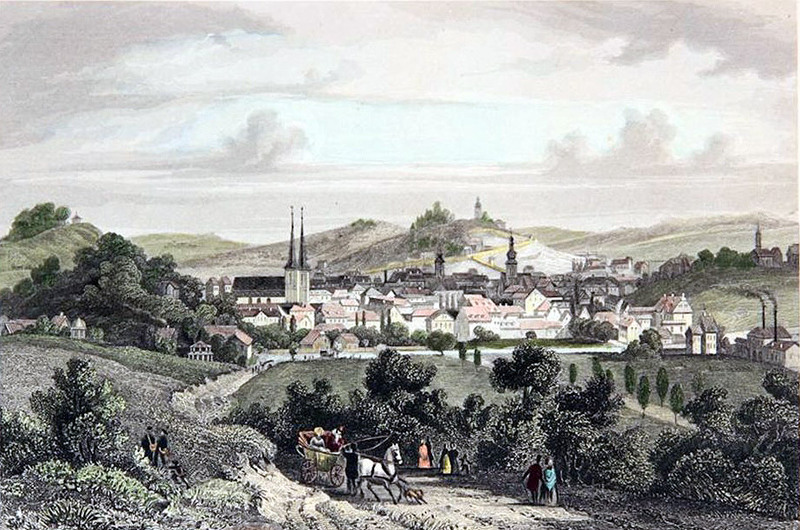 With increasing popularity, he built his original hotel on the site of the Terrace Garden. 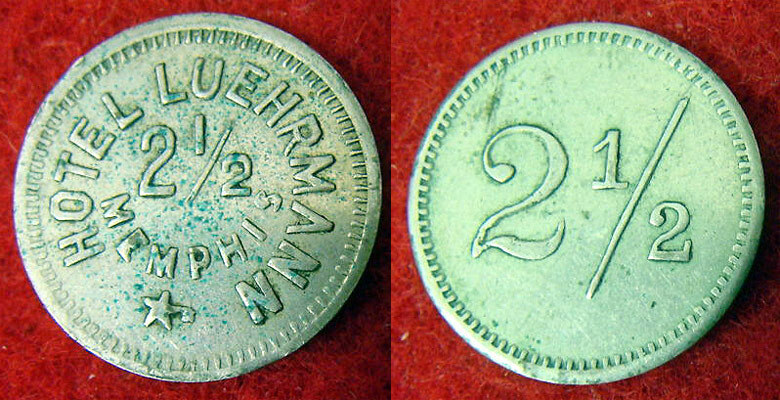 Luehrmann was becoming a very wealthy man. 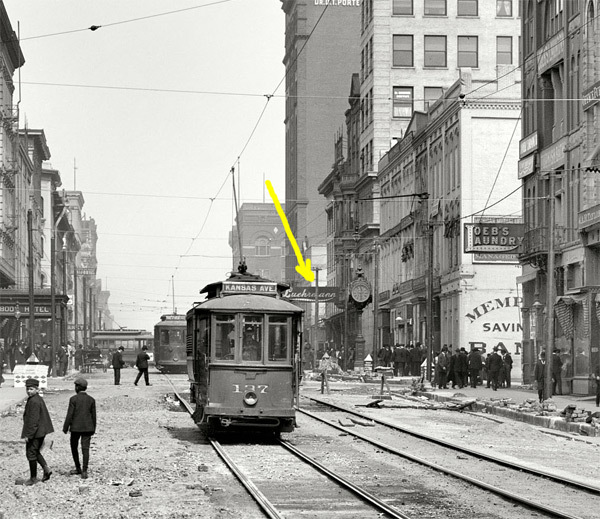 His restaurant also became hugely successful until a major fire destroyed this block of Main Street in 1883. 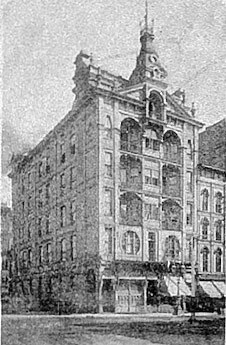 From the Commercial Appeal, 1883 ... after a major Main Street fire that destroyed several city blocks: "The building on the southeast corner of Main and Monroe has been pulled down and will be replaced by a substantial brick structure. 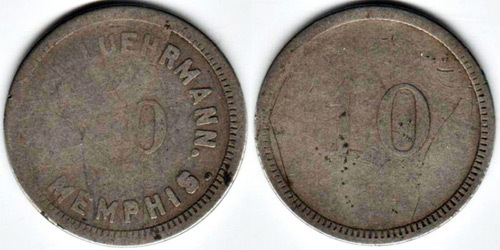 Henry Luehrmann will occupy it, using the basement as a saloon and restaurant and the roof as a beer garden." 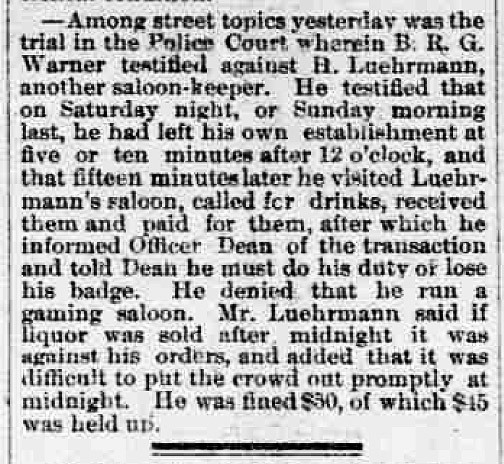 The two 1883 articles on the right describe the new saloon and beer garden. 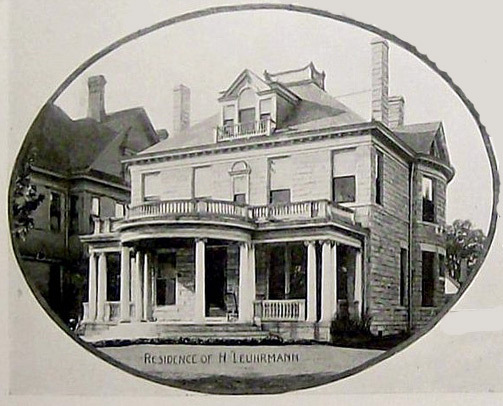 After the fire, Leuhrmann moved across Monroe and rebuilt his hotel. 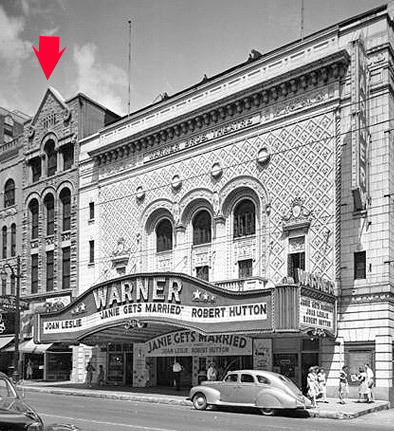 This new location was next door to the old Pantages/Warner Theatre. 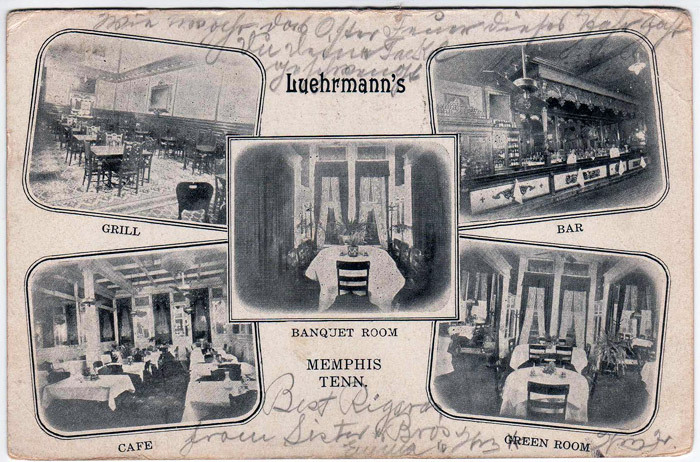 And this was the grand Leuhrmann's hotel-restaurant that is remembered so well in Memphis. 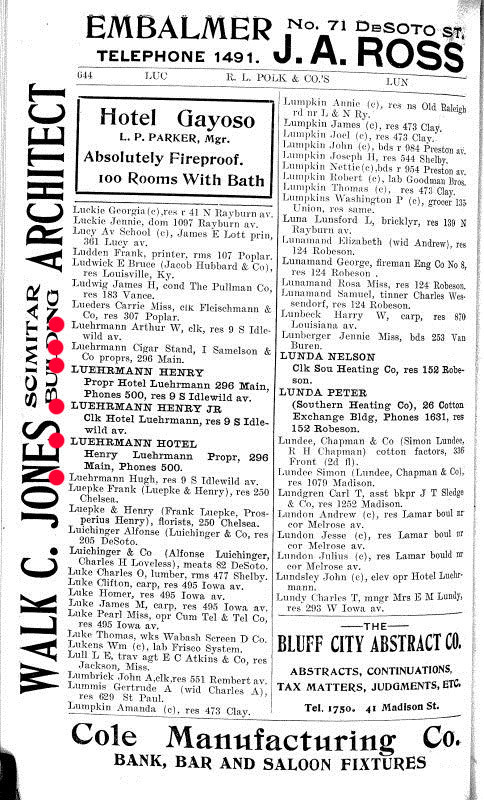 The 38 room hotel was for men only - with one exception. 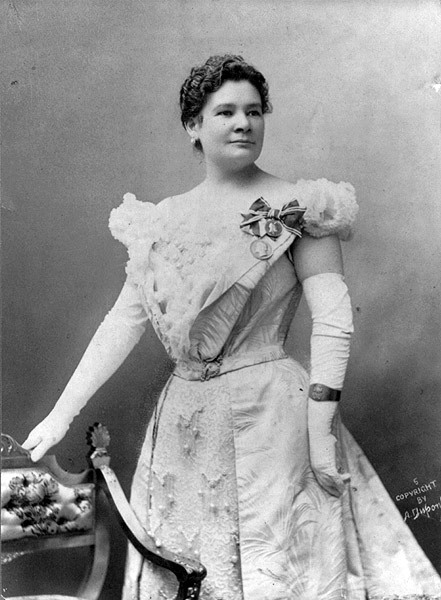 The Metropolitan contralto, Ernestine Schumann-Heink, was a friend of Mr. and Mrs. Leuhrmann, and she was allowed to have a room in this all-male world. The money to build this fine hotel came mainly from beer. 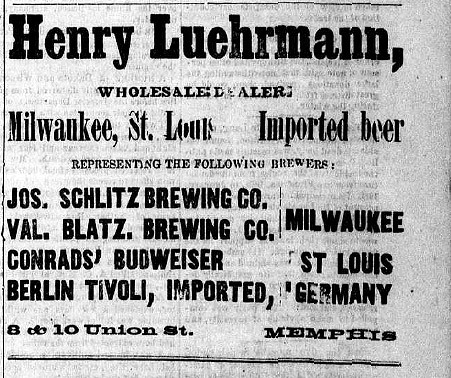 Leuhrmann had become very wealthy as the bottler and dealer in Schlitz Beer. 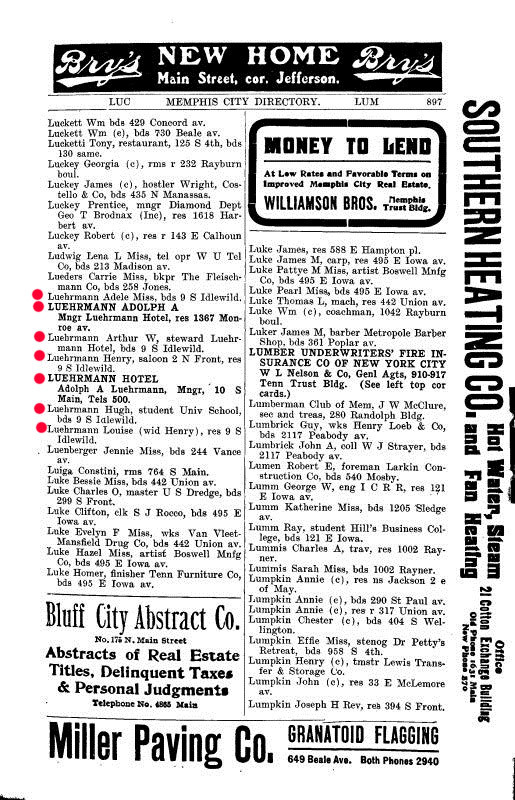 The 1888 newspaper below has a lengthy article describing the opening of his grand hotel. 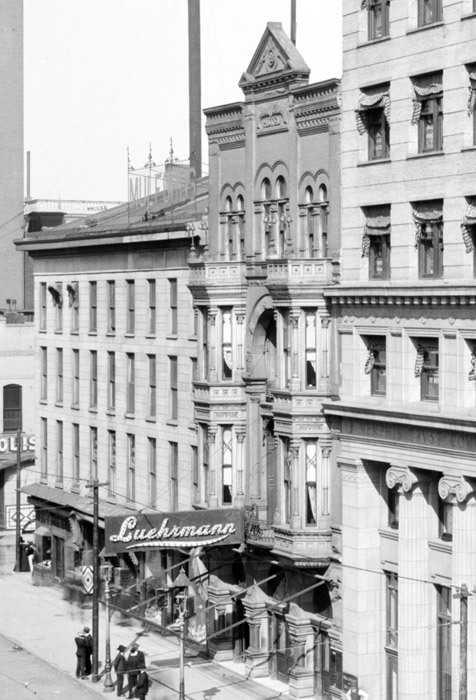 The Luehrmann Hotel was designed by architect Edward C. Jones. 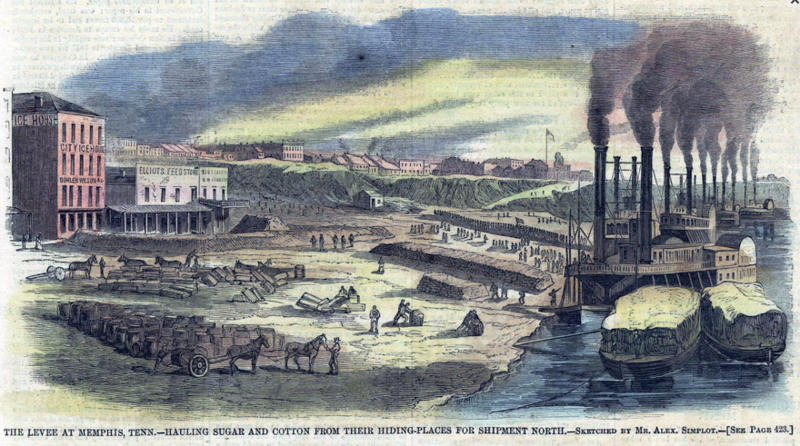 The cellar had huge modern boilers for central heat, along with generators for electric lights, elevators, and cooling equipment. There was also a roof summer garden. 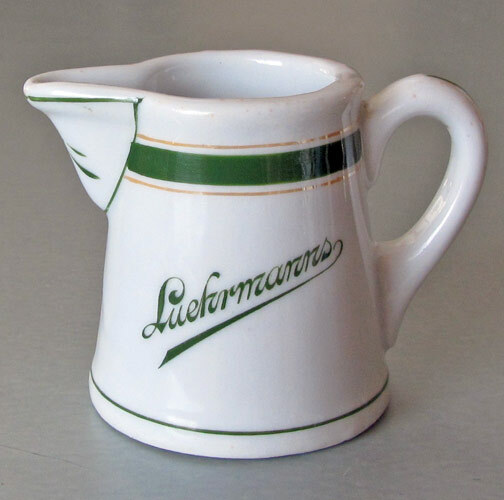 The kitchen was located in the basement, along with the latest equipment. . Luehrmann's aim was to please. 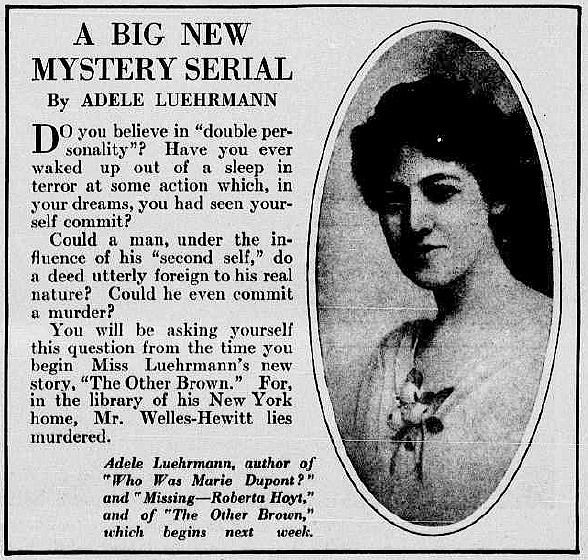 Each room had it's own alarm... and there were baths on every floor. All rooms and halls were carpeted with the finest carpets. And he dug his own artesian well for pure, clean water. 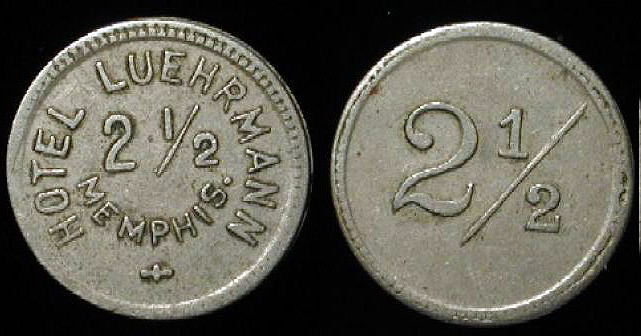 The basement also provided a unique perspective about Henry Luehrmann. 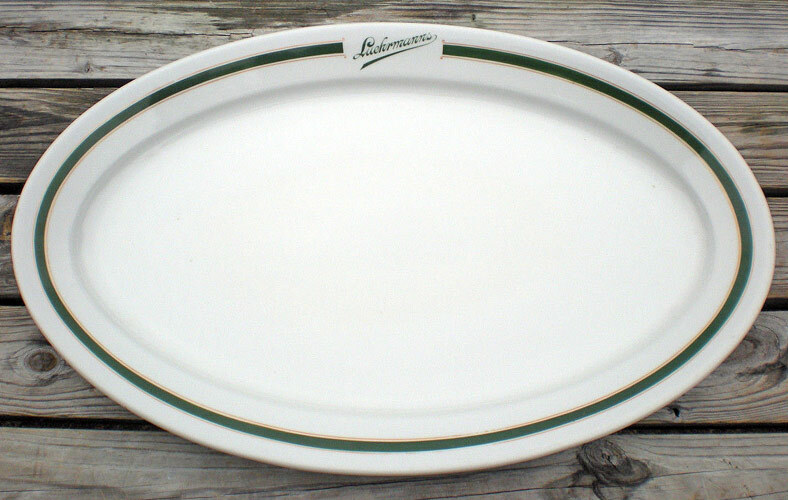 It was here that he kept and personally fed his own lobsters and oysters each day. 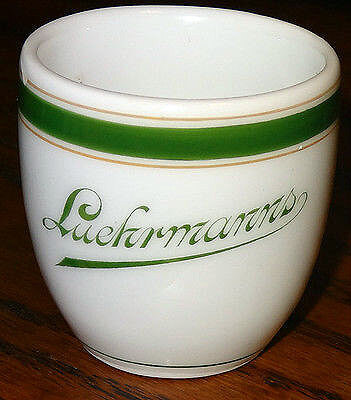 Luehrmann's was a splendid place for leisurely dining. 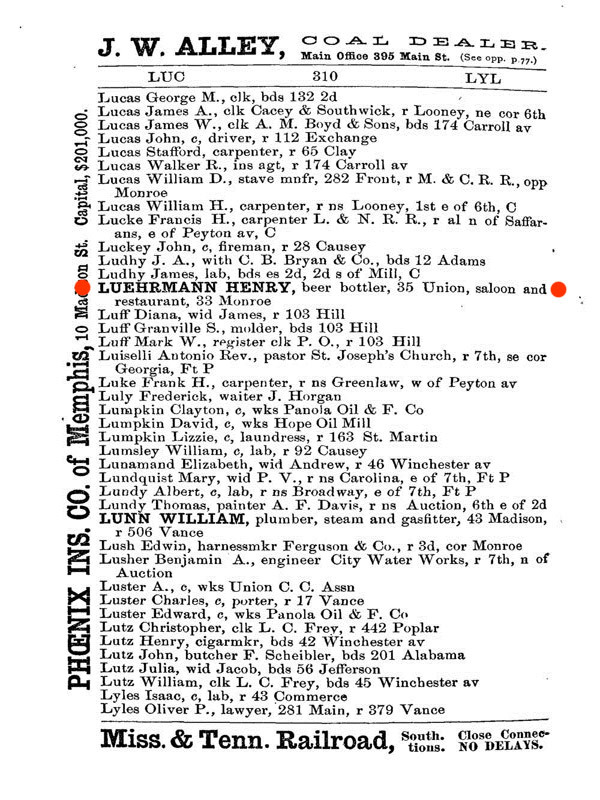 There were 135 kinds of wine and the seafood was the freshest in town. 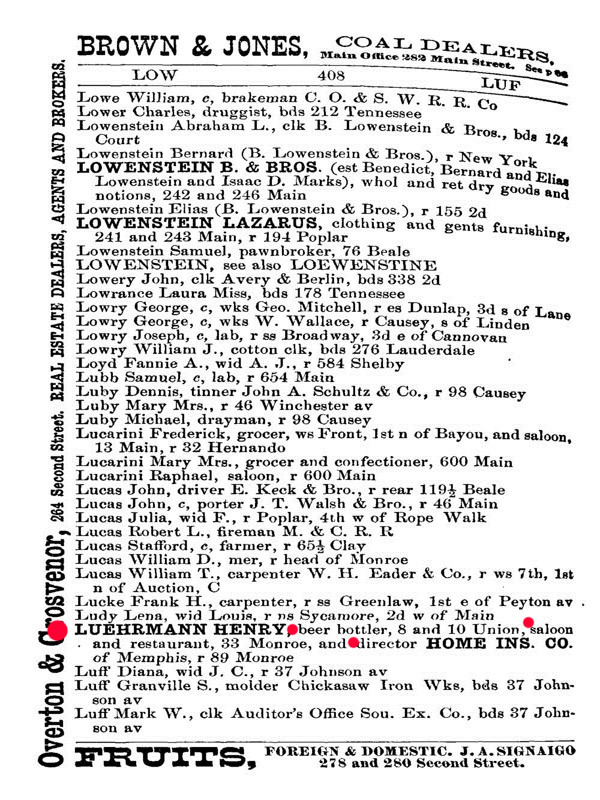 Henry Luehrmann bought only live lobsters, crabs, and oysters to be fattened in his basement. In the restaurant, the waiters wore tails. 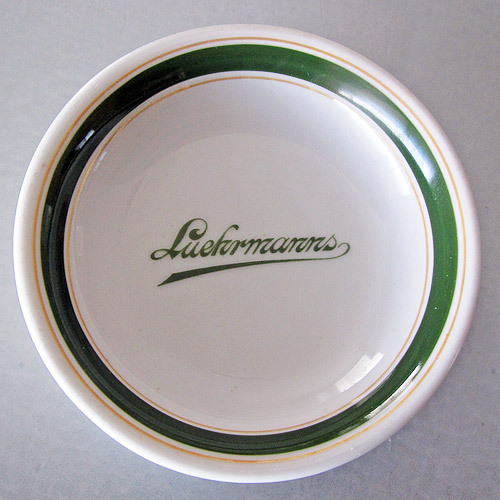 Napkins and tablecloths were made of thick linen, embossed with Luehrmann's crest and logo. 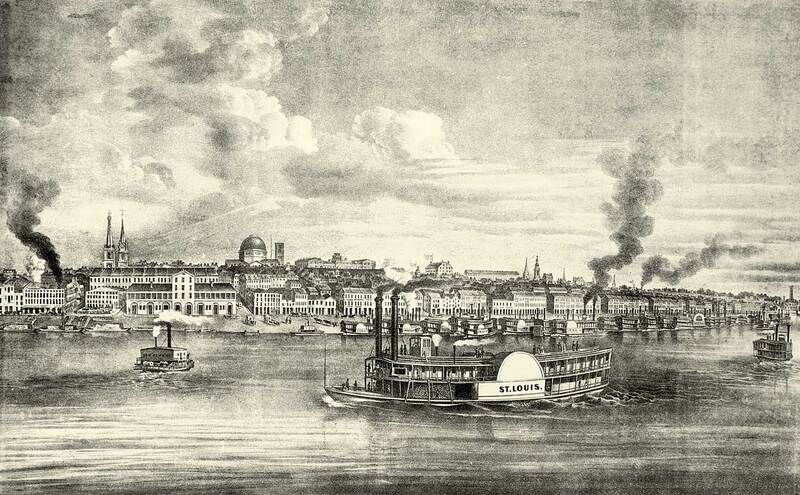 This Restaurant and Gaston's Restaurant, around the corner, were the two most popular restaurants for fine dining in Memphis. 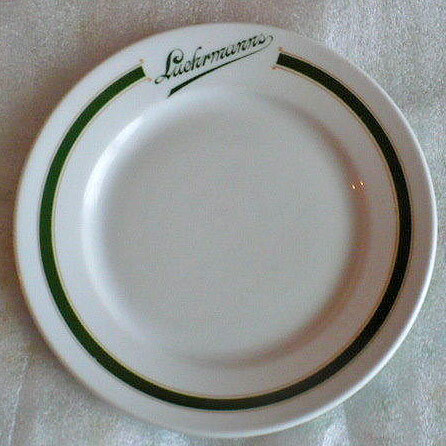 No finer food had ever been known in the city. 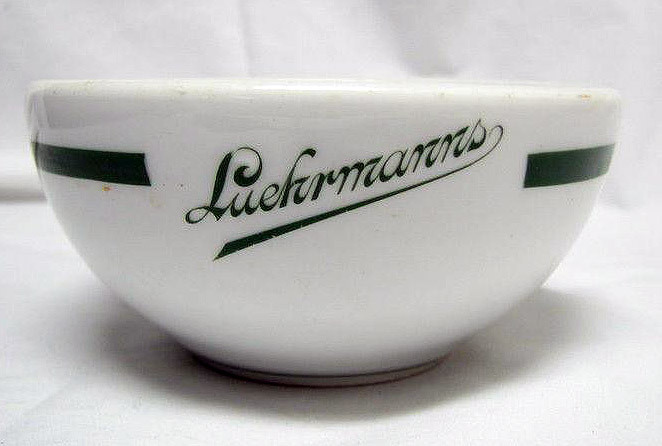 And Luehrmann's had the highest prices in town. Nothing was too small for Henry's attention. 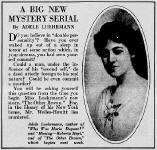 Each day, he thoroughly inspected the bar and personally tested the polished brass with his silk handkerchief. Then he gave the coffee his personal "nose test". If it displeased him, he had it poured out and started from fresh. 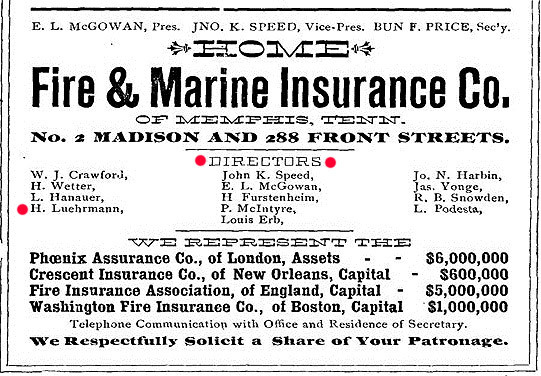 After all his inspections, he went to the basement to feed the oysters. 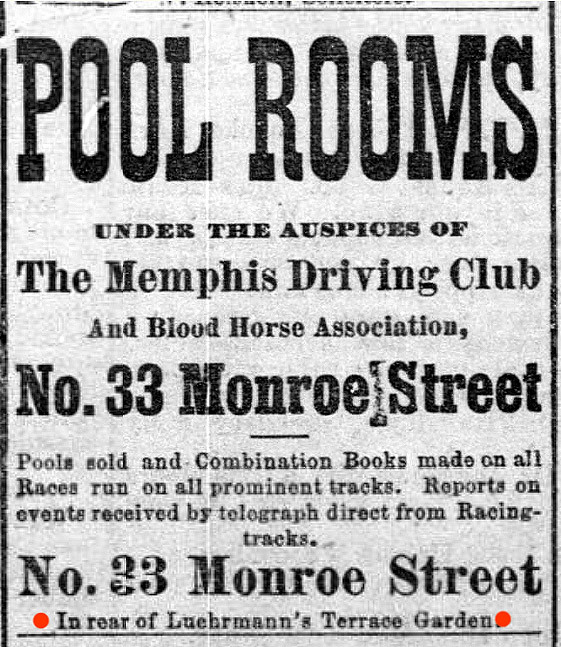 The restaurant was patronized in particular by the big sportsmen in town for the races at Montgomery Track, and the famous names of the theatre, along with the big businessmen of Memphis. 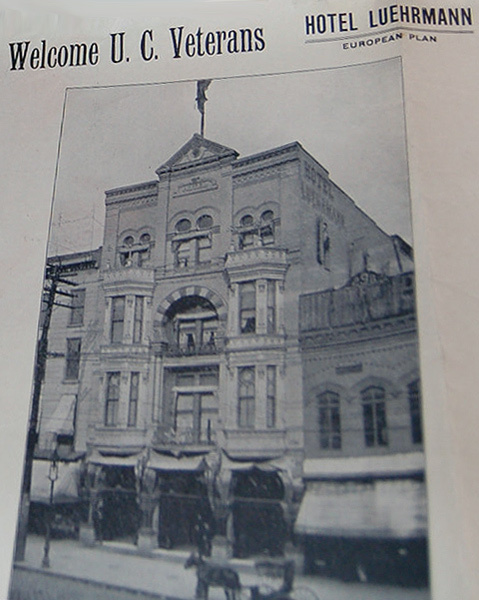 The Hotel-Restaurant was located at 296 Main Street, which became 10 S. Main under the new 1905 numbering system. 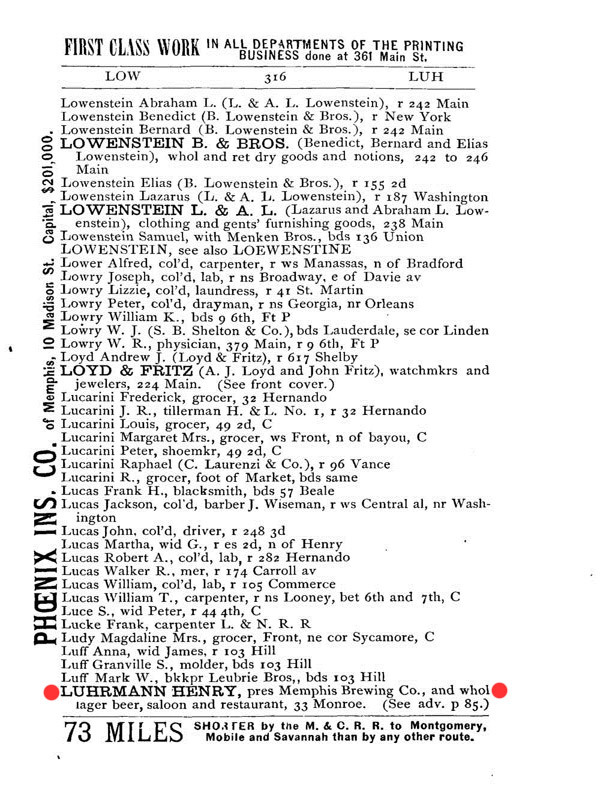 The 1903 Directory below, shows the Luehrmann family is now associated with the hotel/restaurant. 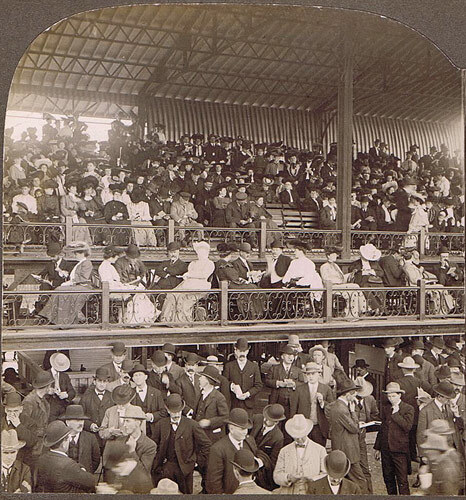 The 1904 photo shows Cornelius Vanderbilt IV in attendance at the Memphis Racetrack. 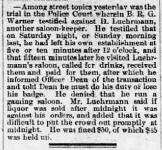 You can "bet" that afterwards he would have had dinner at Luehrmann's, and may have stayed overnight. 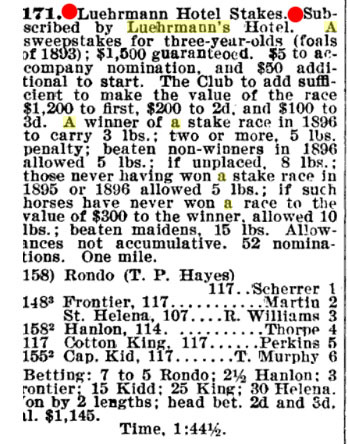 The 1896 article shows that Henry sponsored races at the track. 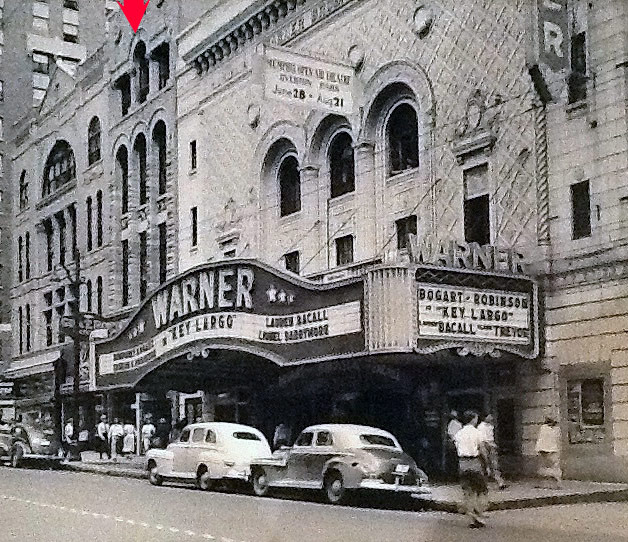 The last two photos below, show the Warner Theatre next to the old Luehrmann Hotel in the late 1950s. It's interesting to see the changes in the building. 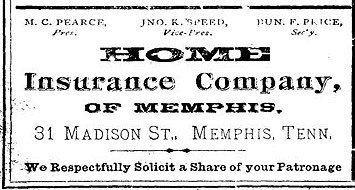 Henry married Louise Correll and they raised 5 children in Memphis - Adele, Adolph, Arthur, Hugh, and Henry, Jr.. Their home was located at 99 Idlewild Avenue (Possibly 99 Madison Avenue - it was on the corner). 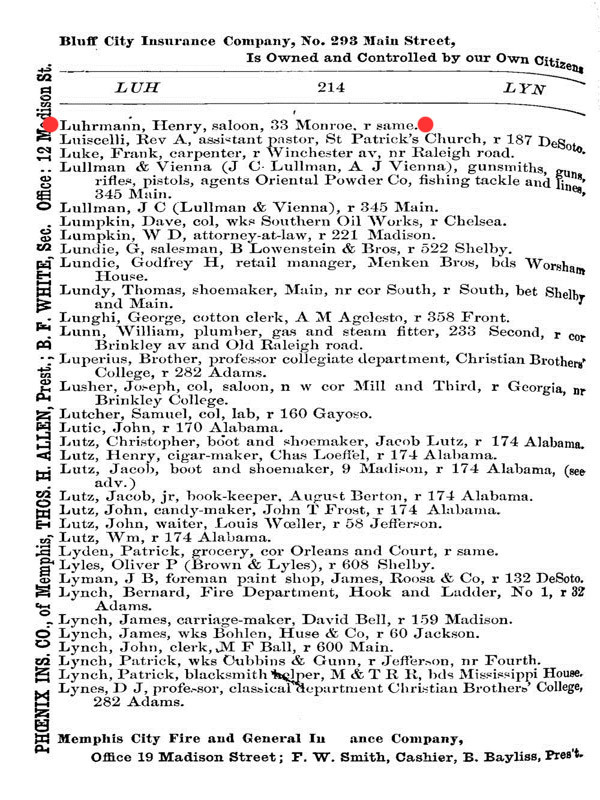 The various directories below verify his profession as Saloon owner, brewer, restaurant and hotel proprietor. 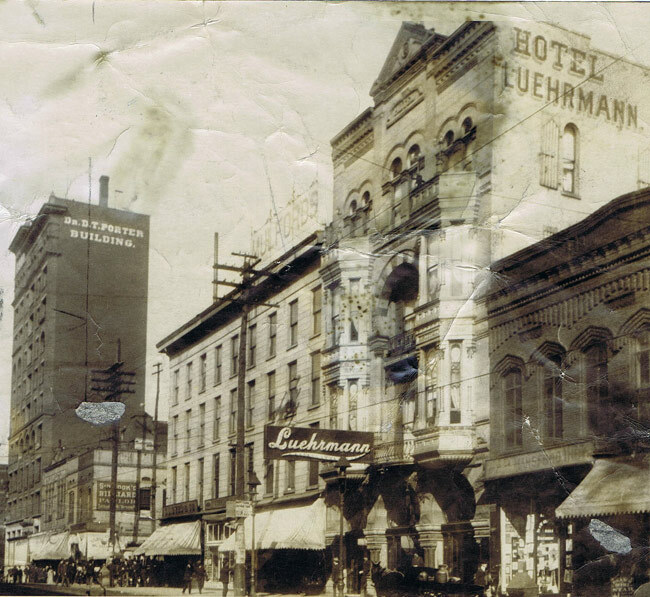 In addition to Hotel-Restaurant, Luehrmann was involved with numerous other successful enterprises, among them the Pioneer Cotton Mills, The First National Bank, Home Insurance Company, and the Building and Loan Association. 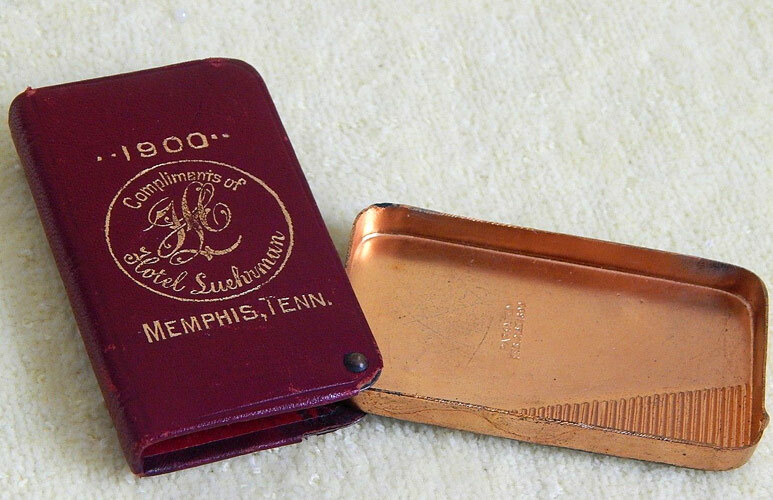 The "Historic-Memphis" website would like to acknowledge and thank the following for their contributions which helped make this website possible: Memphis Public Library, Memphis University Library, Memphis Law Library, Memphis Commercial Appeal, Memphis Press Scimitar, Shelby County Register of Deeds, Memphis Business Men's Club, Memphis Chamber of Commerce, Memphis Heritage Inc, Beale Street Historic District, Cobblestone Historic District, Memphis Historic Districts, Vance Lauderdale Family Archives, Tennessee State Archives, Library of Congress, Lee Askew, George Whitworth, Woody Savage and many individuals whose assistance is acknowledged on the pages of their contributions. 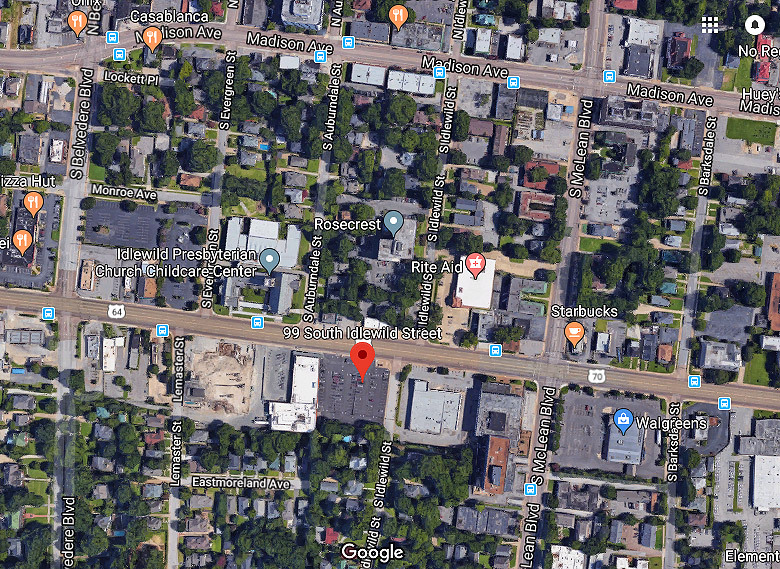 Special thanks to Memphis Realtor, Joe Spake, for giving us carte blanche access to his outstanding collection of contemporary Memphis photos.